Where Have All the Long-Serving Tastemakers Gone?! "…In April '94, at Radio 1 Sound City in Glasgow, Oasis played live on Radio 1 for the first time. A day later, Kurt Cobain passed away, and the whole musical axis shifted. From then on, there seemed to be a new record or a new band every week: Ash, Gene, Supergrass. It wasn't just indie guitars though, we used to play the likes of Bomb the Bass' Bug Powder Dust in '94, which was a terrific hip-hop record, and even a bit of reggae too”. Lamacq saw the decline of Britpop but, from 1998 onwards, noted how artists such as Blur were still putting out great content. Discovering bands like Idewild; he remarks how people were looking for a new Pop wave and guitar bands like Radiohead. Whereas Doves were offering fresh sounds that excited critics; bands like Muse and Coldplay were filing the ‘Radiohead void’. There was a lot of searching and curiosity how the music scene would shift and what would come in. Lamacq was at the forefront when artists like The Streets came in at the beginning of the new century; great acts like The White Stripes and The Libertines poking through and persisting. Lamacq is, actually, a protégée of the legendary John Peel. If Lammo has been surveying the waves and bringing us the best new music for a quarter-century; he has Peel to thank for that curiosity, insight and wisdom. The late, great Peel is seen as the definitive tastemaker of music and a reason why so many D.J.s are doing what they are doing. I remember discovering The White Stripes through John Peel’s shows and live sessions. 2008-2012 saw more women come to the forefront and a particular favourite of Lammo’s, Florence + the Machine, has recently chatted with him. Championing new music from Florence + the Machine and PJ Harvey; Lammo was invested in this new wave and moving with the times. One of few tastemaking D.J.s who has seen such radical shift through the decades – now, with a more eclectic and unpredictable scene; he is keeping on top of everything and endlessly rummaging vinyl crates and keeping his ear to the ground! “His hectic gig-going schedule, which at its peak topped 200 per year, has been modified by the demands of a two-year-old daughter Lizzie, who he is bringing up in South London with his partner Jen. But the urge to unearth fresh talent still burns. 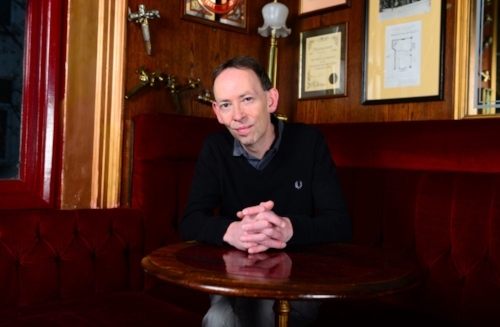 Celebrating his 2005 nomination for a Sony Radio Academy Award – he finally received their Lifetime Achievement Award in 2013 - Lamacq was enjoying a quiet drink at the pub he is currently sitting in, when the realisation dawned that he was missing out on a momentous event, taking place just up the road. ‘The Arctic Monkeys were playing The Dublin Castle,’ he groans. ‘Their first-ever London gig and I didn’t go”. “I still don’t like shouting about a band until I’ve seen them live. There are a number of times when you hear a great record, but then you go see them live and realise they’ve only got two good songs and very little presence. I get annoyed sometimes by bands who rely on ad-libs and horrible Americanisms like ‘how you guys doin’?’ Come on man, you’re from Woking – you’re not Dave Grohl. Either don’t say anything and be enigmatic, or build a rapport. Don’t fill the gaps with platitudes, I’m not interested. “While the manner in which we’re sent music is different now, the manner in which we fall in love with a band is pretty much the same. I saw Idles and Shame live before I’d heard any music. Idles at The Thekla in Bristol were just terrific. The singer looked like he wanted to kill everyone in the room, not least his band – but the whole place is full of a sense of community. Then I saw Shame at an all-dayer in Brixton just before they left school after their A levels”. There is going to be a lot of celebration over the coming days and you can listen to all the shows he has done to celebrate twenty-five years in music. I know there are some good tastemakers in radio at the moment – including John Peel’s son, Tom Ravenscroft – but how many legendary and decades-lasting examples do we have?! Sir Terry Wogan and John Peel are no longer with us and it seems like there are only a few out there who have put in the mileage. 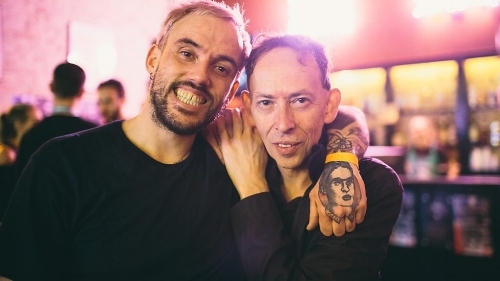 I am a fan of D.J.s like Annie Mac and Lauren Laverne – who are always looking out for great new music – but I am impressed by Steve Lamacq’s longevity and constant energy. Maybe fatherhood will reduce his gig-going but listen to his show and you know how much music means to him. The joy he has when discovering a great band or unusual solo artist. I think Lammo is one of the last long-serving D.J.s who can be described as a true and loyal tastemaker! Listen around and you would be hard-pressed to discover someone who has enjoyed his time on the waves who brings us unheard/lesser-heard music time and time again. I wonder why we do not have that many more mature and older D.J.s who are continuing to look out for the best of the new. Perhaps digital streaming services have taken their toll in regards how we find music and some D.J.s have had to provide a more mainstream show. I am a big fan of those D.J.s like John Peel and Lammo (and even Tony Blackburn) who survived musical changes and shifts and rode the waves. To have that enthusiasm and commitment year-in-year-out is impressive indeed. I know we will see a lot of today’s D.J.s endure and continue to uncover musical gems but Lammo is among the last of those D.J.s who has been going for yonks and shows no signs of slowing. I guess his reliable and popular show means he has a platform on which to campaign and shine a light on fantastic sounds. There are so many journalists and websites out there highlighting new music and playing the role of the tastemaker. As this article explains; many are curating lists for streaming sites and doing better than computers (in terms of what is selected and creating a great playlist). There is an army of so-called tastemakers (myself included) who are doing things online. I still have a lot of respect for radio champions who can have a personal and direct contact with listeners and get their own voices heard. The potency of radio is evident and I am always drawn to D.J.s rather than journalists when it comes to new music. Maybe the rise of streaming and the Internet means many D.J.s are phased out or we rely more on blogs etc.